A teenager who cracked an egg over the head of an Australian senator has become an international hero. 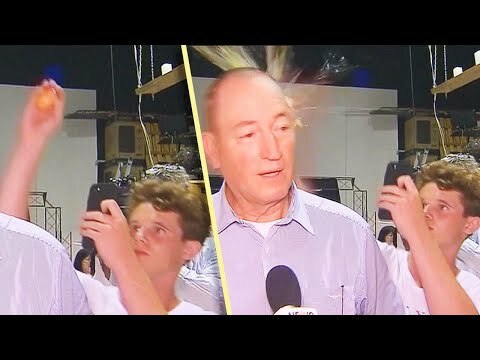 Video of Will Connolly, 17, smashing an egg over Sen. Fraser Anning’s head has earned him the nickname “Egg Boy.” The senator tried to fight back, punching Connolly a few times before the boy was tackled to the ground. Connolly reportedly opposed Anning’s comments after the mosque attacks in New Zealand, which left 50 people dead. InsideEdition.com’s Mara Montalbano has more.